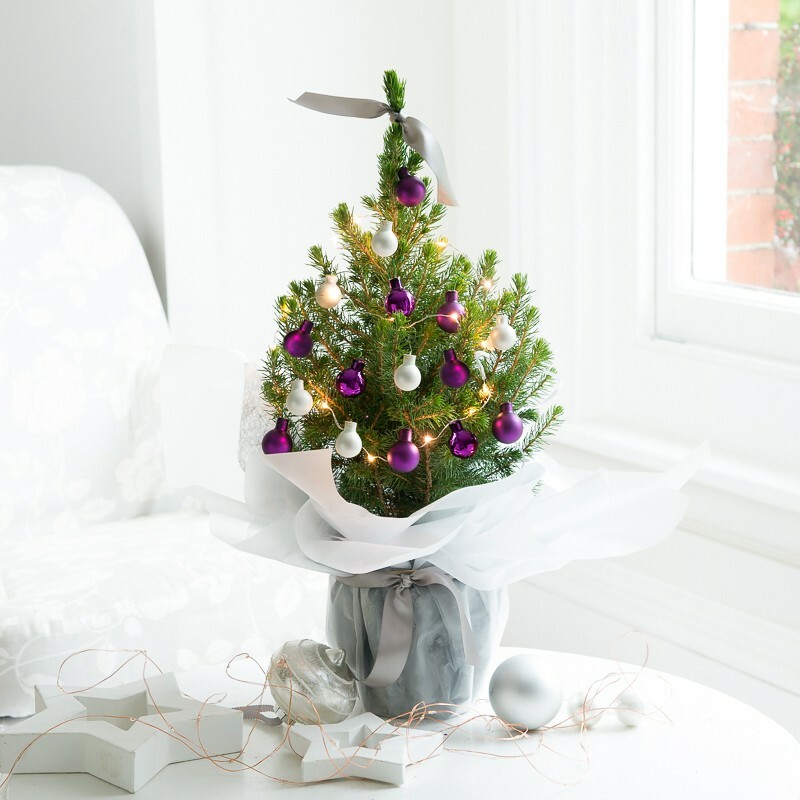 A beautifully gift wrapped miniature Lilac decorated Christmas tree, with white baubles, lilac baubles and warm white lights. This miniature Christmas delight is the perfect way to spread festive joy anywhere in the home. Please note, the lights come separately for the recipient to dress the tree themselves!